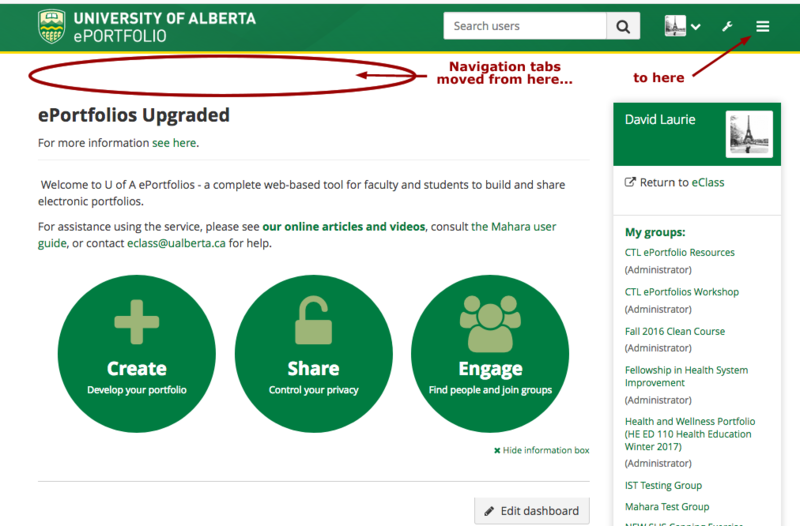 The ePortfolio service was upgraded in May 2018 to a new version and a new infrastructure. This article describes the major changes that users should be aware of. 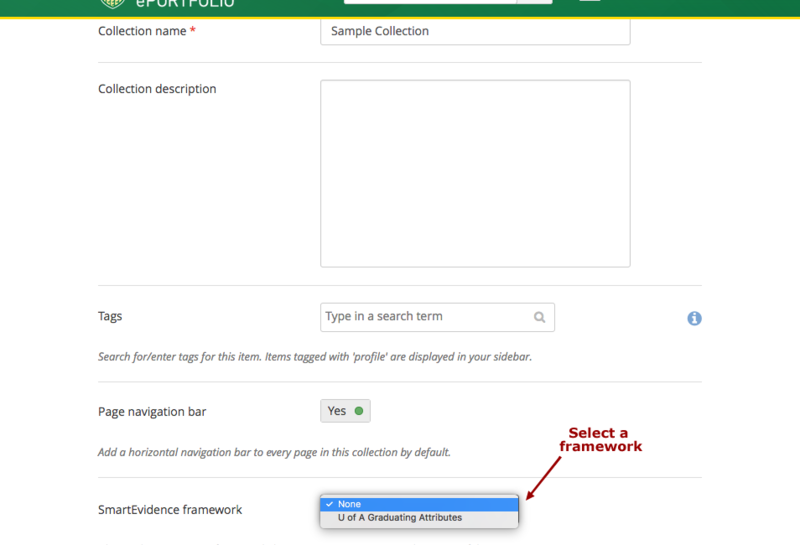 Please note that there will be an overhaul of ePortfolio documentation in summer 2018 -- some existing screenshots and videos may not be accurate until that time. To improve its mobile performance, ePortfolio navigation has become more compact by moving the tabs under the collapsible tray icon at the top right. These were formerly available at the top center of the page. All of the same sections and sub-heading are available by opening and closing the various areas of the tray. 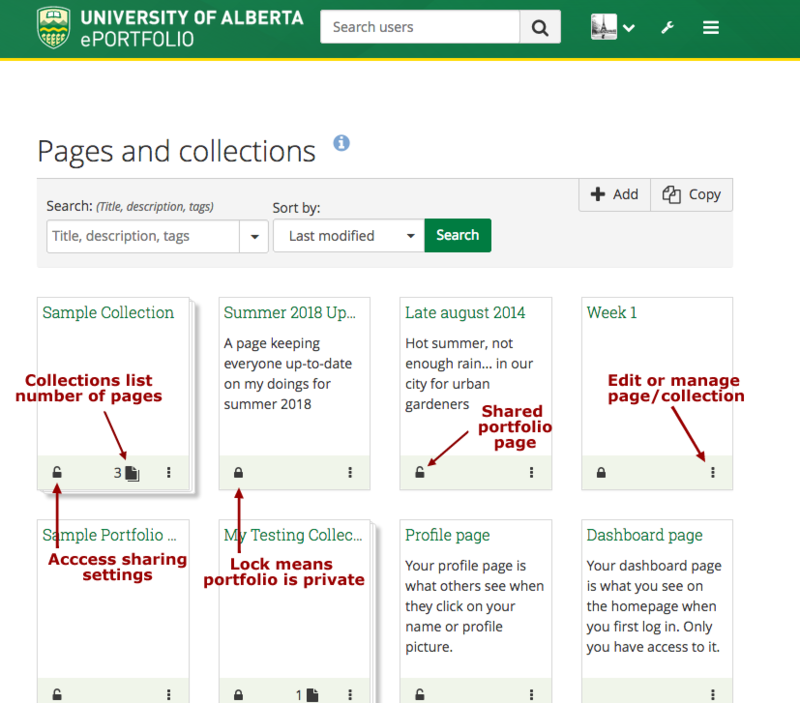 The new version has combined the Pages and Collections areas into a single view that shows user's all their portfolios at a glance. The new view shows items in a tiled view offering quick access to edit the settings or to share the page/collection. By default the view is shown with the last page or collection a user was working in first. The only framework available at this time is the U of A Graduating Attributes. If selected, this displays as the first page of a collection and indicates to the reader which pages indicate the completion of a competency. 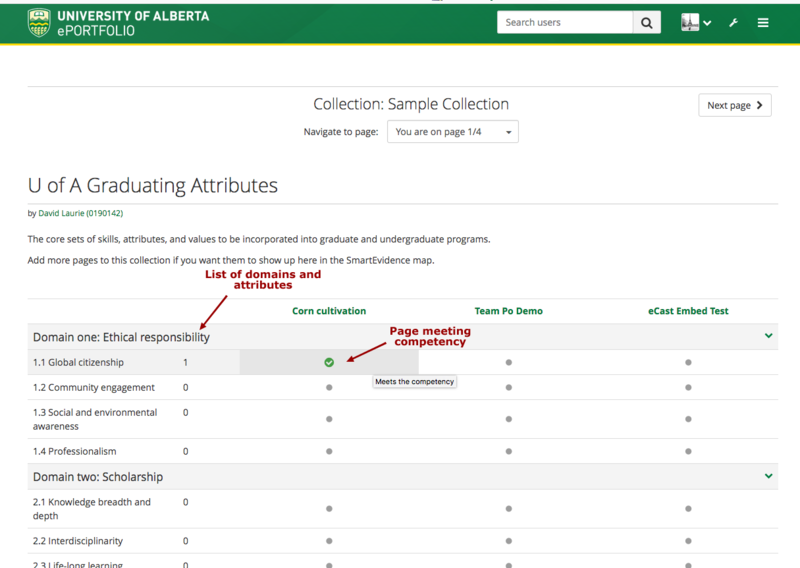 The U of A Graduating Attributes framework is set up so that users can indicate completion of a competency themselves (it allows 'self assessment') but it is also possible to configure frameworks where evidence can be submitted to instructors for evaluation. 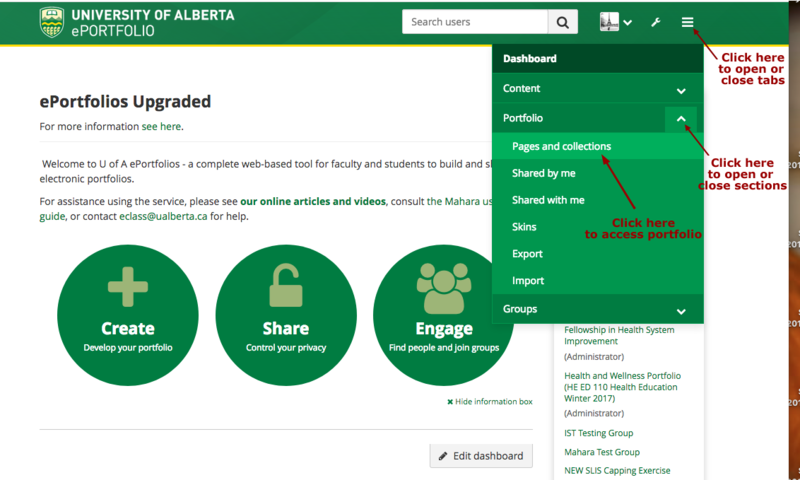 For more information on using SmartEvidence frameworks (including the creation of different competency frameworks), please consult the Mahara documentation or contact IST eClass support.